Have you ever looked back after a gig and realize that you’d shot yourself in the foot, because you got the balance wrong in the practice room beforehand? You’d focused so hard on one or two specific areas that you totally neglected other aspects that were really vital. And it was a bit of a shock when the performance came around and those unexpected problems were revealed. It doesn’t have to be like that ever again, though. There is a way to make sure your practice is constantly adapting to keep you focused on the most important topics. 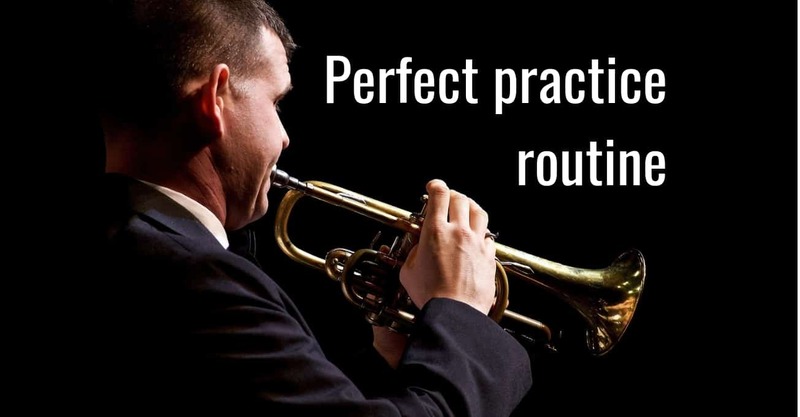 You’ll make more progress in the same amount of practice time. And you’ll play much better when the gig comes around. Do you tend to get stuck in the details? This is really common among musicians. And it often comes from perfectionism. Not a bad thing in itself – as long as it doesn’t distort your priorities. You let the big picture slide because of a desire to get all those little details right. So much so that you lose sight of the other things that matter. Now, these details are important. You definitely want to spend time getting them right. It’s just about finding that balance between the details and the big picture. So the way you want to do this, is to make sure that you transfer your attention from one to the other. Some of the time you’ll be right in focused on the details. Some of the time you’ll be way, way above, taking a look down from a great height on that big picture view. And when you do both of those together in the right way, then you can get the balance right. You find the right things to practice and deliver great results on the gig. So, where should I put my focus? That probably still leaves you with lots of questions. When should I go with the big picture view? When should I pick the detailed view? How long do I spend on each? When do I switch between them? The way to get into this is to start out by just doing a run through the big picture. Play through everything that you’re working on, keeping a look out for where your biggest problem is. That main stumbling block is going to be the important thing for you to focus on first. So, once you’ve found that, then you do your zoom in. You focus on that small detail where the biggest problem is, and you work on it until you’ve made some significant progress. This doesn’t mean you stay with it until it’s absolutely perfect. You just need to get it to where it’s clearly better than it was previously. Once you hit that point, now is the time to zoom out again and go back to that big picture view. Now you’re going to run through again and then ask where the biggest problem is now. It might be in the same place still. Maybe you need to go back there, work on detail again. And make some more improvement. But a lot of the time, you’ll find that the thing that’s holding you back the most is now somewhere else. So you zoom in to this new point and do your detailed work there. And you can just go around this cycle again, and again. So if what you’re working on is a whole piece of music, then the big picture is obviously that whole piece. You can get an idea of where you are by playing through the whole thing. Now your details that you’re then going to focus on might be things like individual sections of the piece. Zoom in and just work on a few bars. But it might be something slightly different. It might be something that relates to the piece as a whole, such as how good you are at being able to play it all from memory. In that case, you might be zooming in by just focusing on whether you can remember everything. Rather than giving your focus to whether you can play it all perfectly. And again, you’re constantly zooming back in and out from details to the whole piece. This approach also works if your topic is just a short phrase. In that case, it’s the phrase that is the big picture. The details that you notice might be things like one or two notes that you consistently miss. Or is it your ability to play it at a fast enough tempo? Is it, perhaps, that you’re not getting all the articulation the way that you would like. Again, cycle through the process of zooming in and out. Go from the detail that needs most work back out to the big picture. Zoom in to a new detail. Now I want you to go away and choose one thing that you’re working on to apply this to. Play through it. Take that big picture approach. And identify the first detail that is the most important one for you to address. Don’t get hung up on making the “perfect” decision at this point. Remember that you’ll be cycling back and forwards many times. Bonus points if you record yourself as you’re playing through that big picture. That’s going to make it much easier for you to go back afterwards and objectively identify what that detail is that needs the most work. Let me know how you get on with this in the comments below.